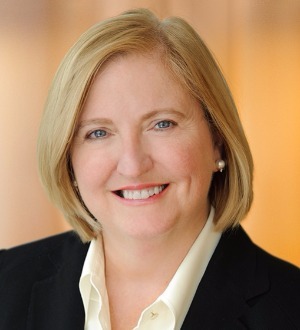 Eileen T. Nugent, global co-head of Skadden’s Transactions Practices, has worked on a wide variety of acquisitions and dispositions of companies, subsidiaries and divisions, both public and private, hostile and negotiated, in the United States and around the world. A significant number of these transactions have been leveraged buyouts (LBOs). Ms. Nugent has represented the full range of transactional parties, including buyers, sellers, controlling stakeholders, boards of directors and special committees, LBO organizers and management teams, as well as investment bankers and various financing sources. She has worked on numerous recapitalizations and other “reverse LBO” transactions, such as initial public offerings, and is one of the firm’s leading practitioners in the field of M&A and restructuring of financially distressed companies. The breadth of her experience has resulted in her being increasingly regarded as a senior legal, business and strategic adviser to her clients, particularly in the areas of corporate governance and conflict-of-interest situations, including dealing with significant stockholders. Donna Karan in the sale of Ms. Karan’s company and Donna Karan International Inc. to LVMH, S.A. Private company transactions on which Ms. Nugent has worked include a broad array of situations, with a concentration on highly leveraged companies, as well as subsidiaries and divisions of large public companies. She has represented Allied Domecq plc; Avenue Capital; Columbus Nova; DLJ Merchant Banking Partners III, L.P.; DST Systems, Inc.; Kelso & Company; Oaktree GmbH; and Trimaran Fund, among others, in a number of private company transactions. Ms. Nugent is a frequent lecturer and panelist at the Practising Law Institute, ALI-ABA and other M&A seminars; is the vice-chair of the annual Tulane M&A Institute; and has published articles on a wide variety of M&A-related legal topics. She has taught selected M&A classes at Harvard Law School and New York University School of Law and is an adjunct professor at the University of Virginia School of Law and Cornell Law School. She is a co-author of a well-known two-volume treatise entitledNegotiated Acquisitions of Companies, Subsidiaries and Divisions. Ms. Nugent has been recognized in Chambers Global: The World’s Leading Lawyers for Business for her work in M&A and private equity, Chambers USA: America’s Leading Lawyers for Business, The International Who’s Who of Corporate Governance Lawyersand The Best Lawyers in America.